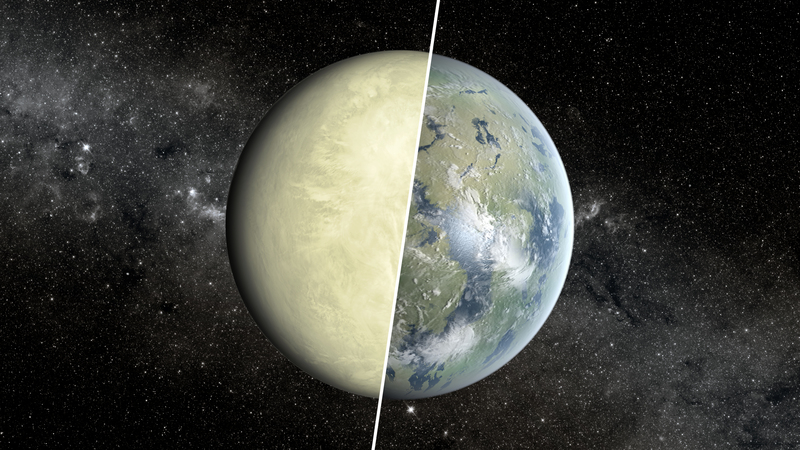 Scientists from NASA and two universities presented new results dedicated to this task in fields spanning astrophysics, Earth science, heliophysics and planetary science — demonstrating how a cross-disciplinary approach is essential to finding life on other worlds — at the fall meeting of the American Geophysical Union on Dec. 13, 2017, in New Orleans, Louisiana. 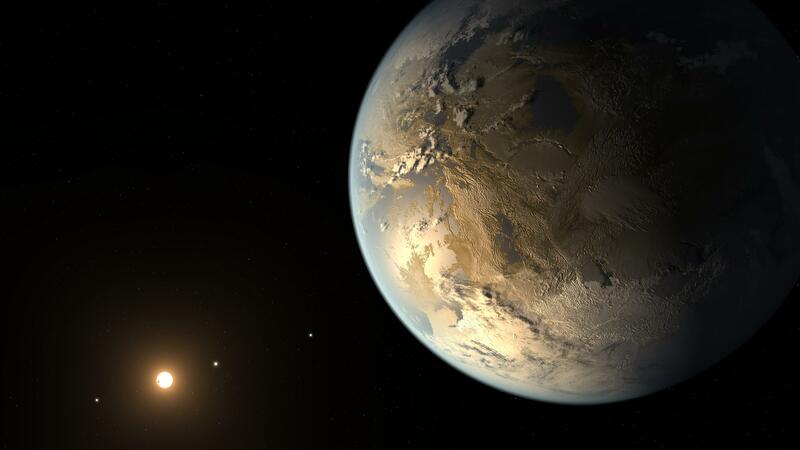 An artist’s concept of Kepler-186f, the first Earth-size planet discovered within a star’s habitable zone. 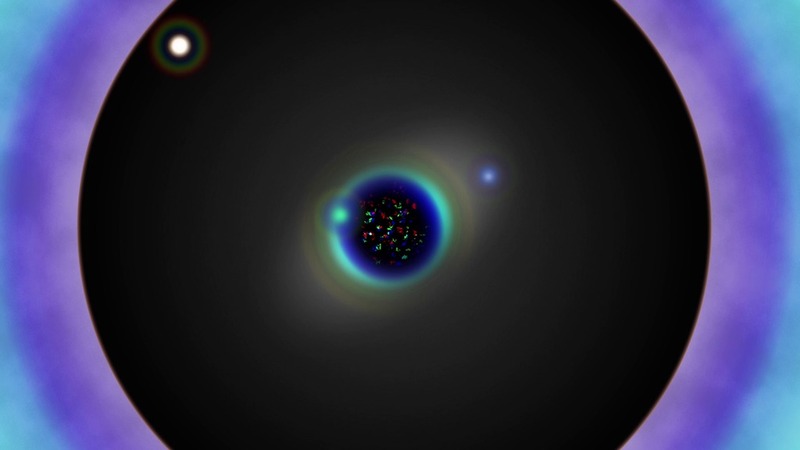 Scientists now know of thousands of exoplanets, but our knowledge is limited because we can’t yet view them directly. 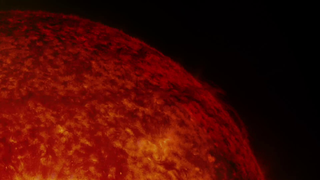 A coronagraph works by blocking the bright light of a star to allow dimmer objects, like orbiting exoplanets, to become visible. 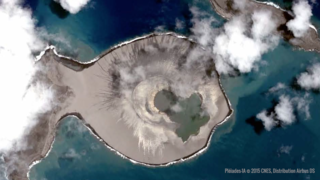 This in turn allows cameras to directly image the exoplanet. 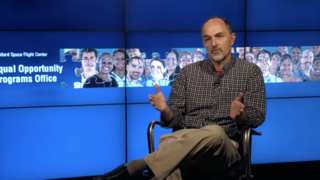 Direct imaging will be critical to studying exoplanets in detail. 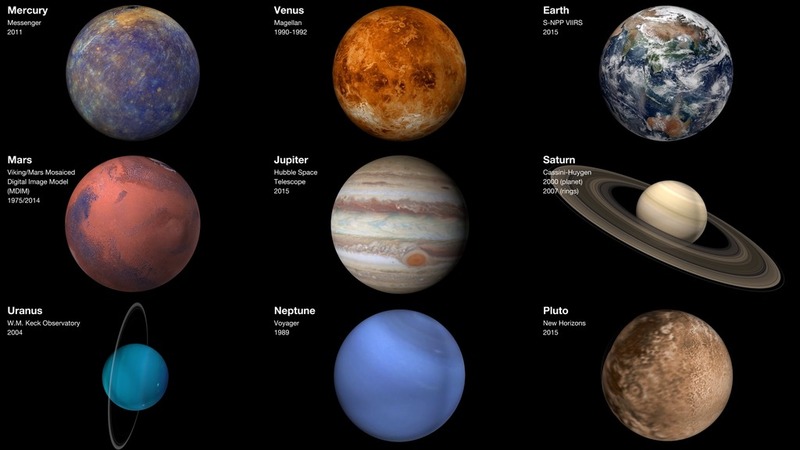 The eight planets, plus Pluto, with planetary axis tilt. 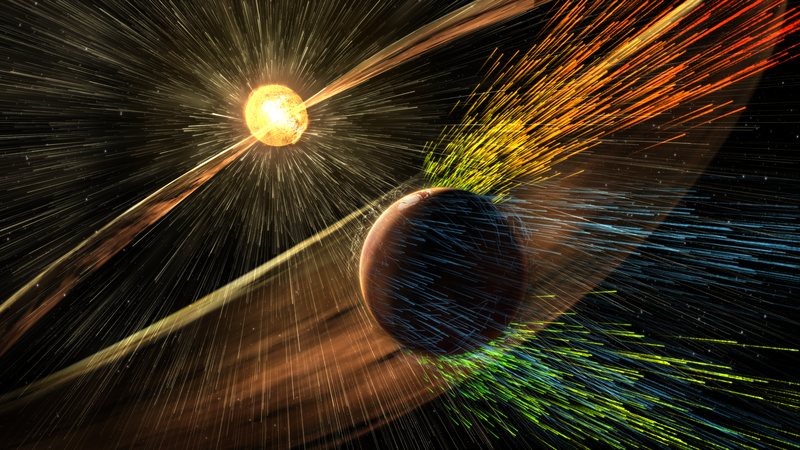 Our solar system is a laboratory for studying exoplanets, and scientists use solar system worlds to validate exoplanet models. 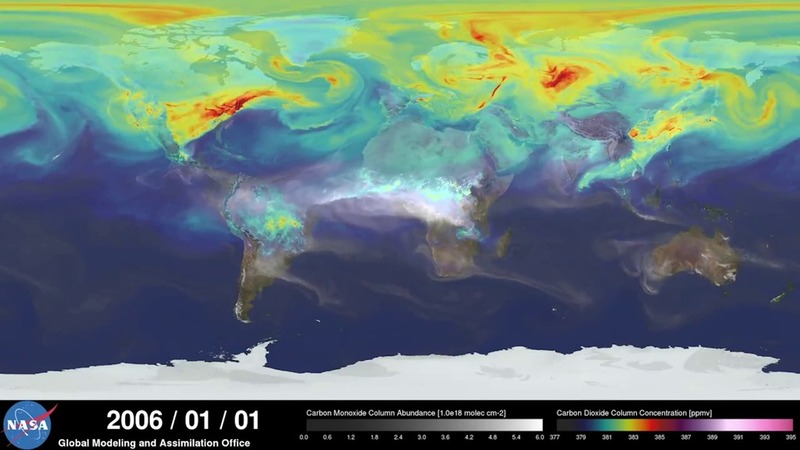 A visualization illustrating how carbon dioxide in the atmosphere travels around Earth, produced by a computer model called GEOS-5, created by scientists at NASA's Goddard Space Flight Center’s Global Modeling and Assimilation office. 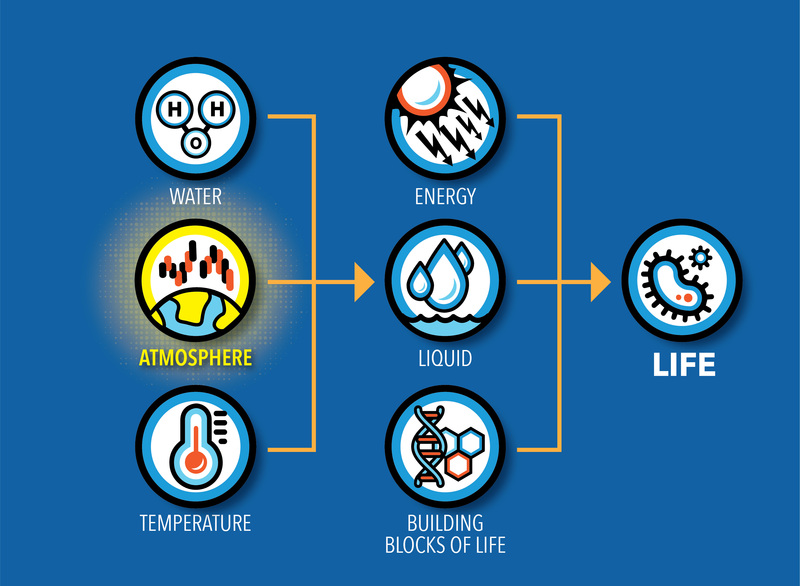 Much the way scientists remotely study gases in Earth’s atmosphere, scientists and engineers are developing methods to one day remotely study exoplanets' atmospheres in search of biosignatures. 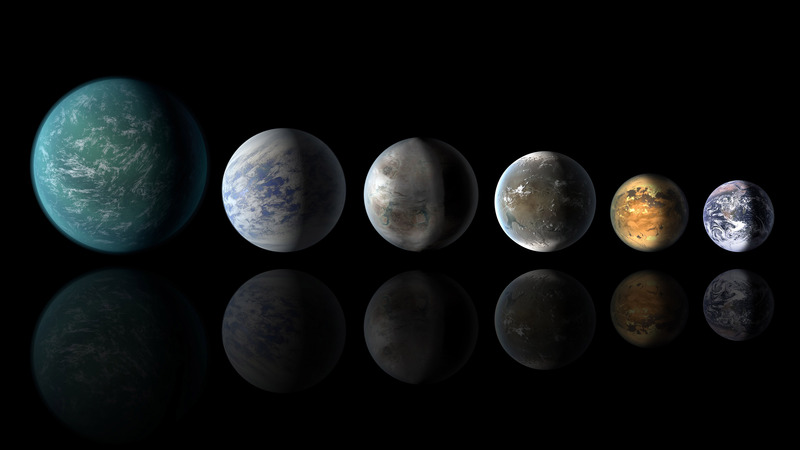 This artist's conception of a planetary lineup shows habitable-zone planets with similarities to Earth: from left, Kepler-22b, Kepler-69c, Kepler-452b, Kepler-62f and Kepler-186f. 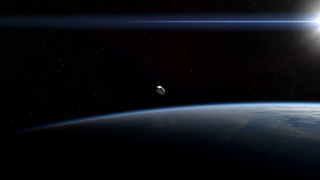 Last in line is Earth itself. 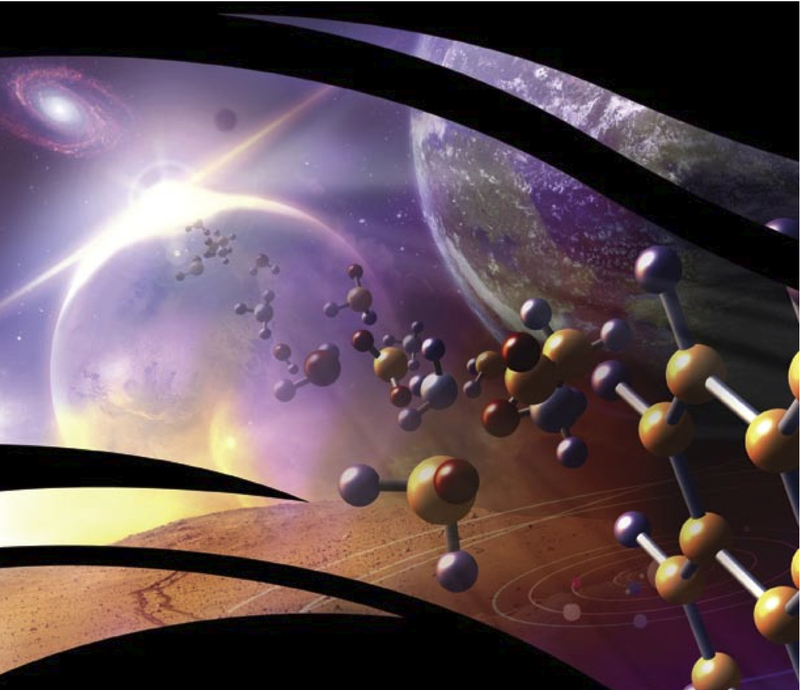 A holistic perspective — grounded in multiple disciplines — is essential to examining exoplanets as complex worlds in the search for life. 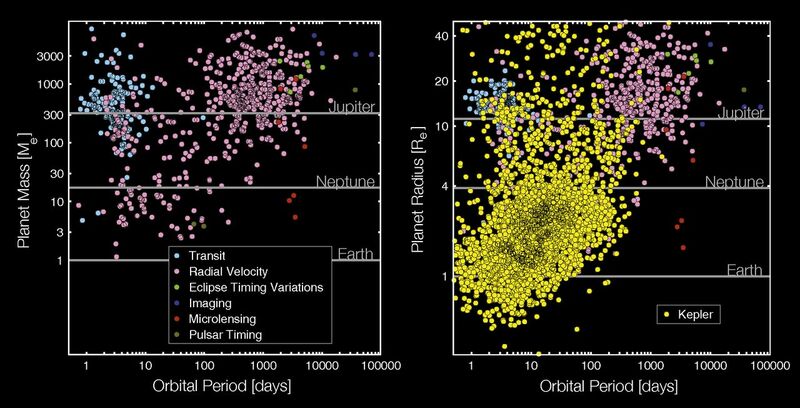 This diagram summarizes exoplanets scientists have identified so far. 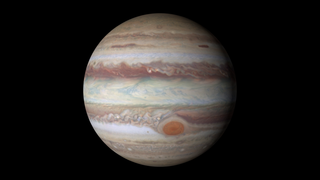 Planets are organized by mass on the left, and size on the right. 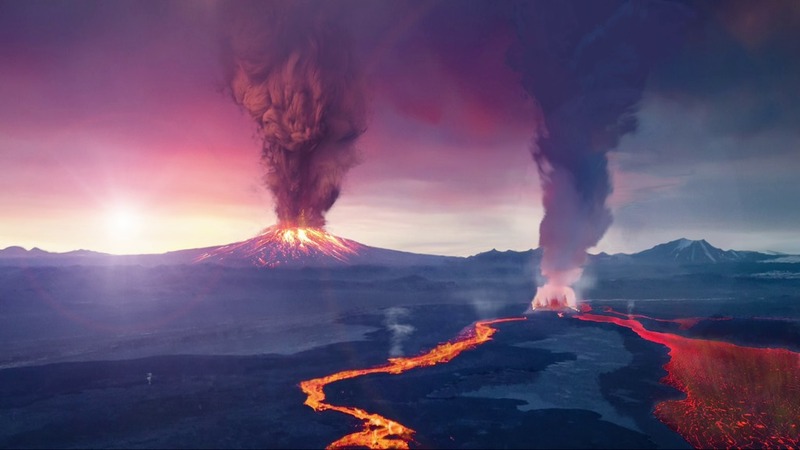 Scientists have found there are much more smaller — and therefore terrestrial and potentially Earth-like — planets than previously thought. 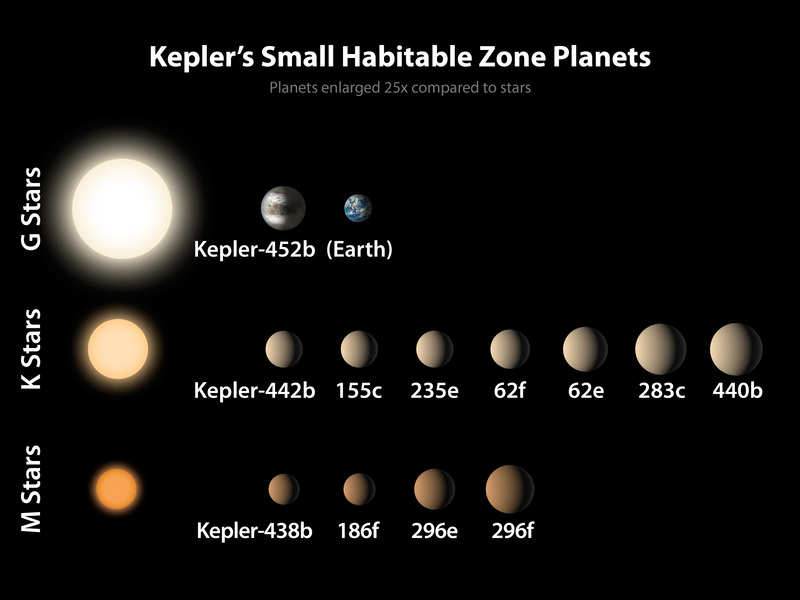 Of the 1,030 confirmed planets from Kepler, a dozen are less than twice the size of Earth and reside in the habitable zone of their host stars. 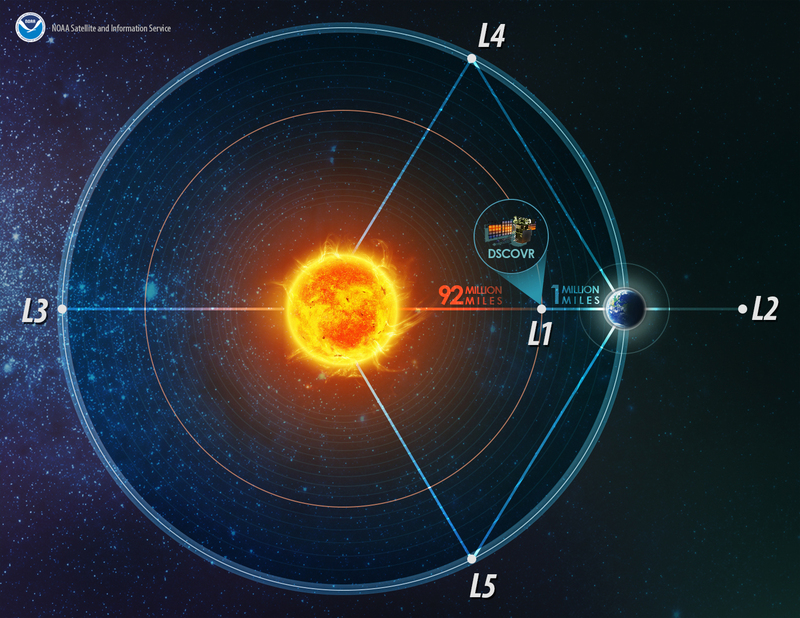 DSCOVR studies Earth from Lagrange Point 1. 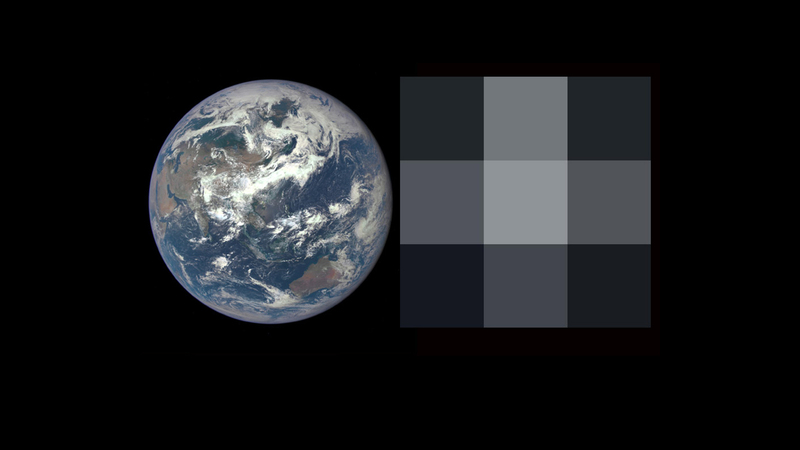 Left, an image of Earth from the DSCOVR-EPIC camera. 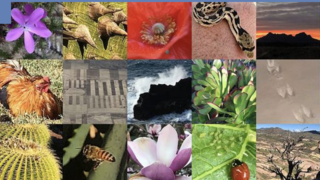 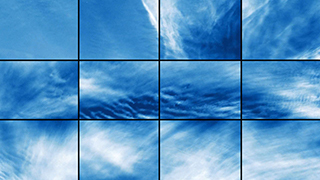 Right, the same image degraded to a resolution of 3 x 3 pixels, similar to what researchers will see in future exoplanet observations. Since Earth (at right) and Venus (at left) are so close in size and yet so different in terms of their prospects for habitability, Kane is interested in developing methods for distinguishing Earth- and Venus-analogs in other planetary systems, as a way of identifying potentially habitable terrestrial planets. 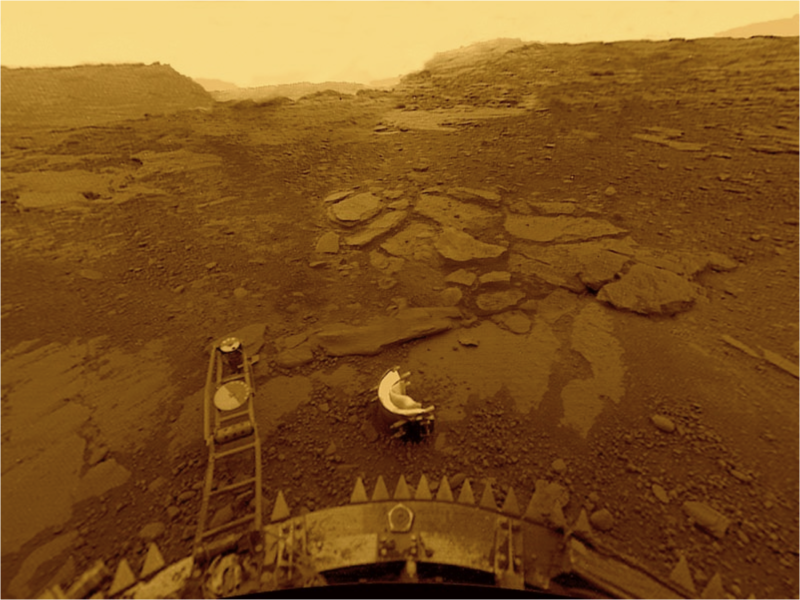 The surface of Venus is 850 degrees Fahrenheit and the atmosphere — filled with sulfuric acid — bogs down on the surface with 90 times the pressure of Earth's. 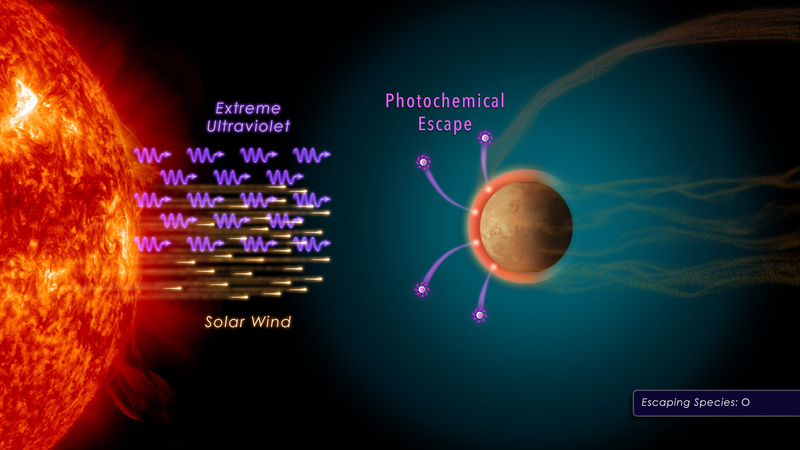 Scientists must also consider how the qualities of a host star and a planet’s electromagnetic environment — which can shield it from harsh stellar radiation — either hinder or help habitability. 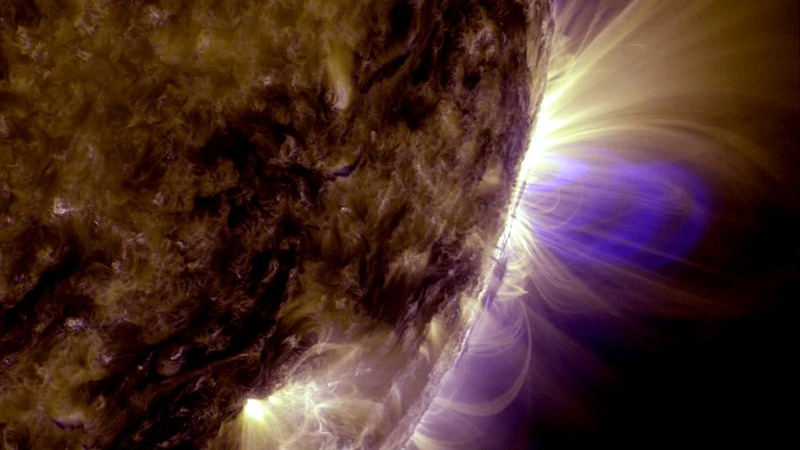 Data from NASA's Solar Dynamics Observatory, or SDO, shows flares and coronal mass ejections on the Sun, the effects of which are collectively known as space weather. 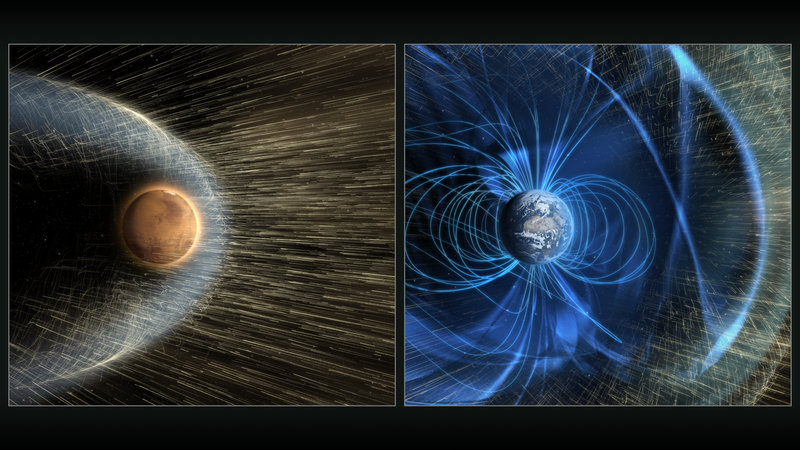 Mars, at left, does not have a magnetic field, while Earth, at right, does. 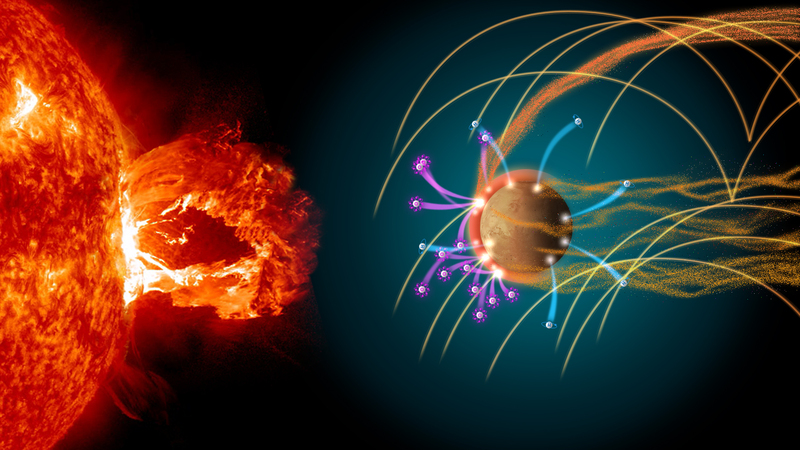 Earth's magnetic field protects the atmosphere from the harsh solar wind. 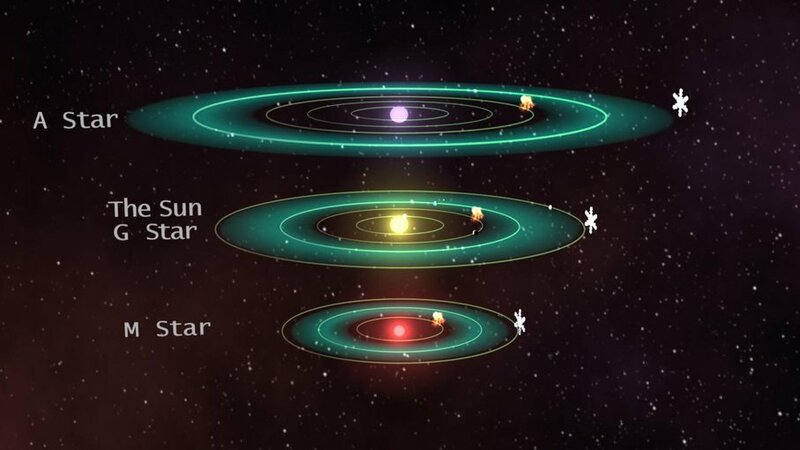 The estimated habitable zones — the right distance from a star where water could pool on a planet's surface — of A stars, G stars and M stars are compared in this diagram. 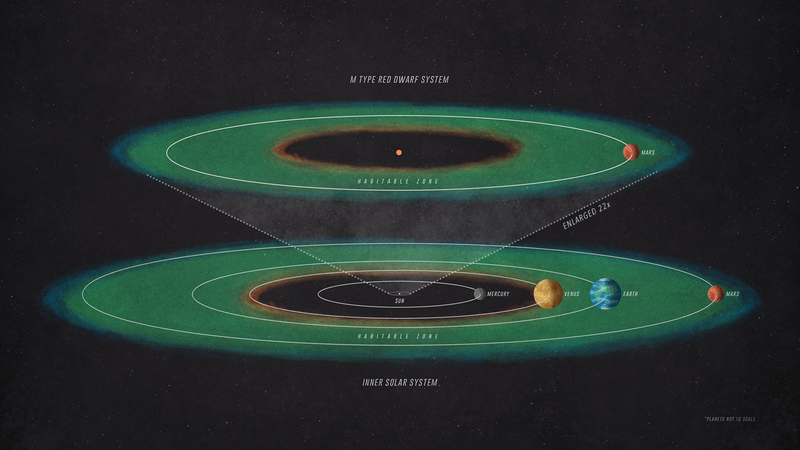 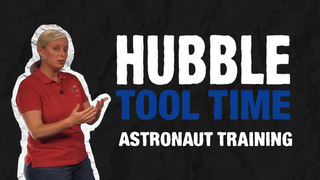 But just because a planet is in the habitable zone doesn’t necessarily mean it's habitable. 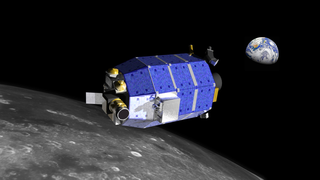 Garcia-Sage and her colleagues designed a computer model to study whether an Earth-like planet (left) — with Earth's atmosphere, magnetic field and gravity — in Proxima b's orbit around Proxima Centauri (right) could hold on to its atmosphere. 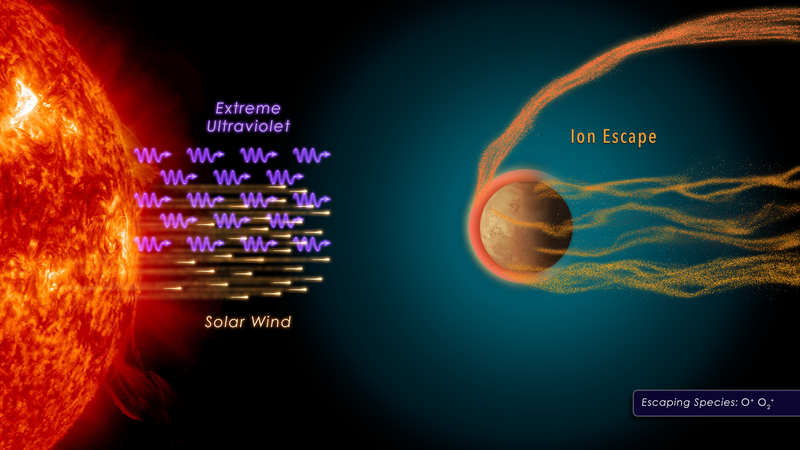 The scientists examined three factors that drive ionospheric escape: stellar radiation, temperature of the neutral atmosphere, and size of the polar cap, the region over which the escape happens. 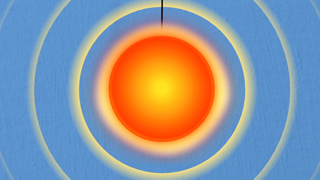 This animation illustrates how extreme ultraviolet light from a young, active red dwarf star cause ions to escape from an exoplanet's atmosphere. Understanding a planet’s space weather environment is a crucial part of determining whether a planet is habitable. 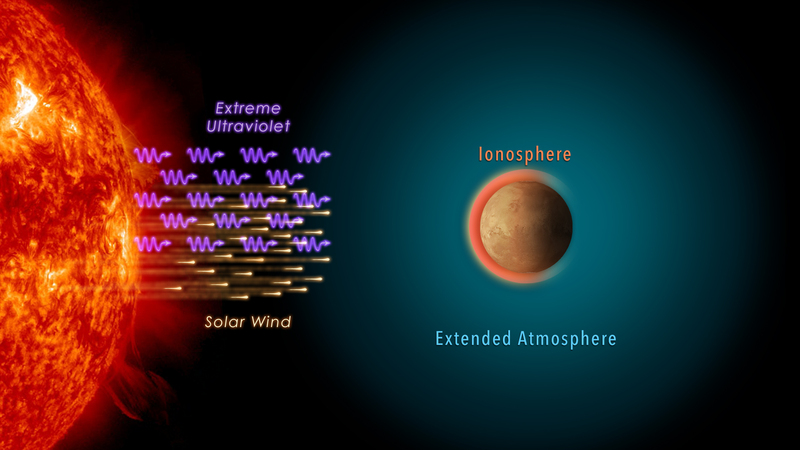 Atmospheres are essential for life as we know it, and scientists show an Earth-like atmosphere probably wouldn't survive at Proxima b's orbit. An artist concept of a solar storm reaching Mars and stripping ions from the planet's atmosphere. The habitable zone of our own solar system. 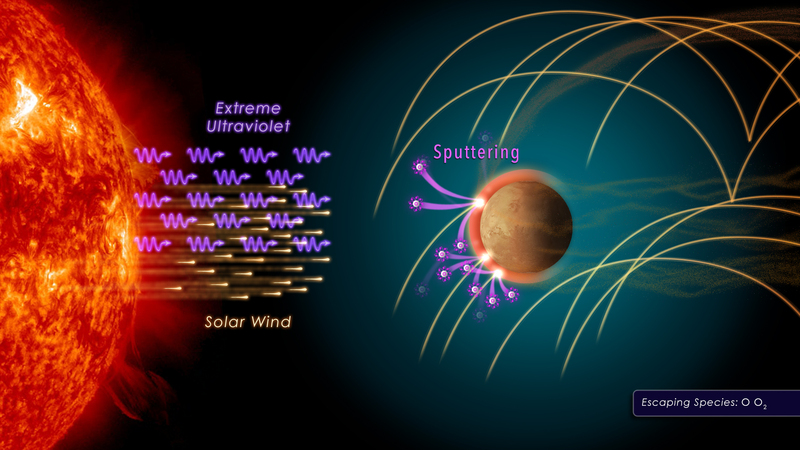 MAVEN's observations under varying solar conditions at Mars today helped scientists identify factors — including ultraviolet light, and stellar wind and storms — that would increase atmospheric escape. 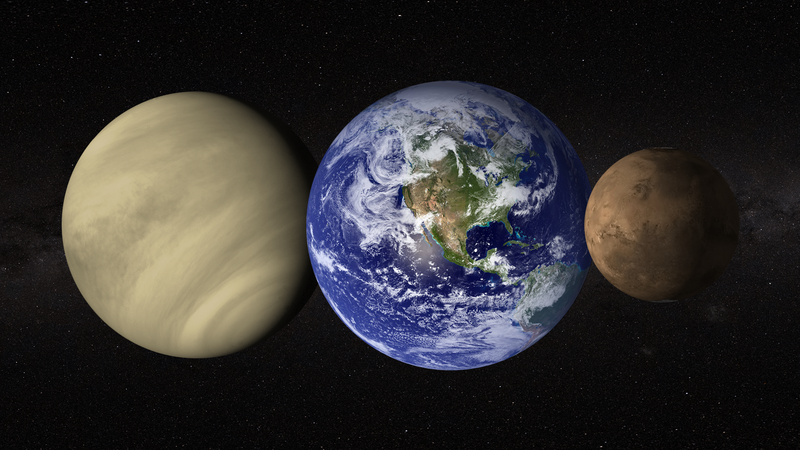 From left to right, Venus, Earth and Mars.